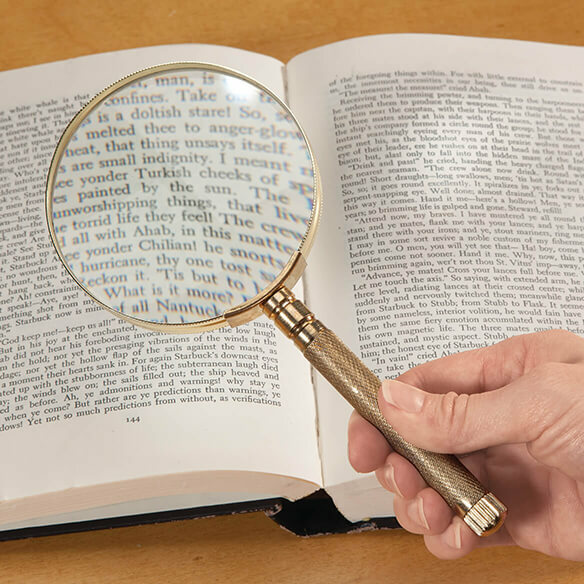 A magnifying glass and so much more! 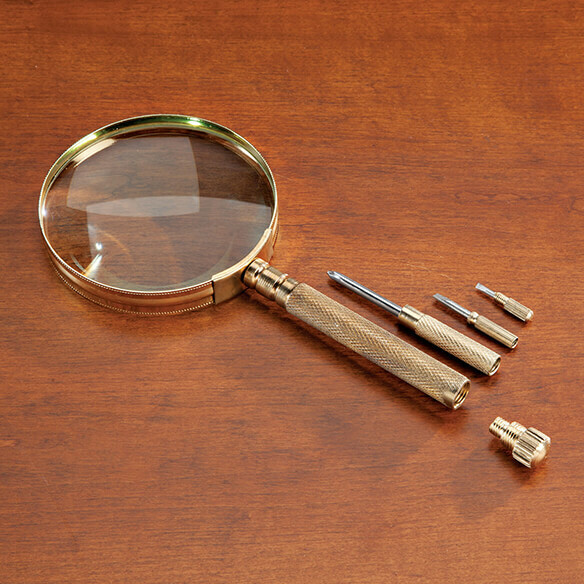 Magnifier’s handle stores 3 screwdrivers ready for any household task. No more searching — simply twist open the cap on the handle to access nesting screwdrivers. just needed a simple method to read those 'little' written instructions. So many magnifiers only offer 2X close-ups while this one offers 4X magnification. Needed a magnifier for times when I need bigger print. my husband has trouble seeing his handiwork(even close up). Just wanted to make sure that I see better. Print just seems to be getting smaller and smaller, with or without my glasses. Exactly what is needed at a great price. BEST ANSWER: The glass is 3-1/2 inches in diameter and there are two screws on the bottom. I think one is Phillips and there are two small flat heads. There is a small magnifier at the bottom of the glass which is strong. I think it works well especially when trying to thread needles. I measured and it is about 3 1/4 inches in circumference.